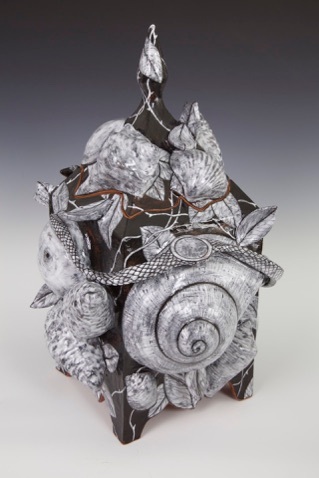 The 2016 TCA Juried Biennial: CLAY is currently showing at The Gallery at Tempe Center for the Arts. 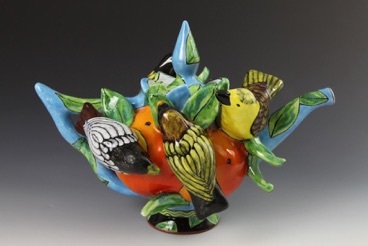 This exhibition was juried by Peter Held, art appraiser/consultant, Garth Johnson, curator at Arizona State Art Museum Ceramic Research Center, and Patsy Cox, artist and outgoing NCECA (National Council for Education in the Ceramic Arts) president. 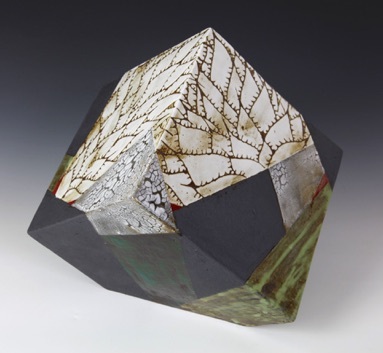 Jeff Reich and Farraday Newsome each have work in the show. 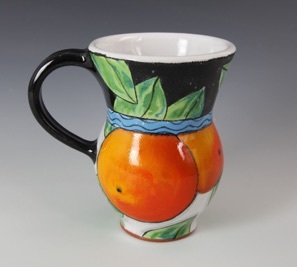 To see a list of participating artists and a photo of each artist’s work, click here. 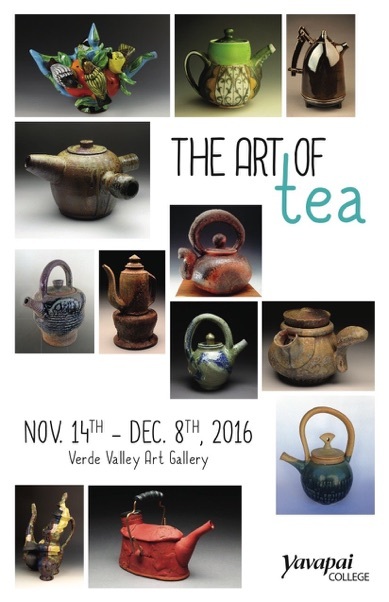 Jeff Reich and Farraday Newsome each have work in exhibition The Art of Tea currently on display at the Yavapai College Verde Art Gallery in Clarkdale, Arizona. The show was curated by gallery director Bennett Roti http://www.benroti.com, whose work is also featured in the show. 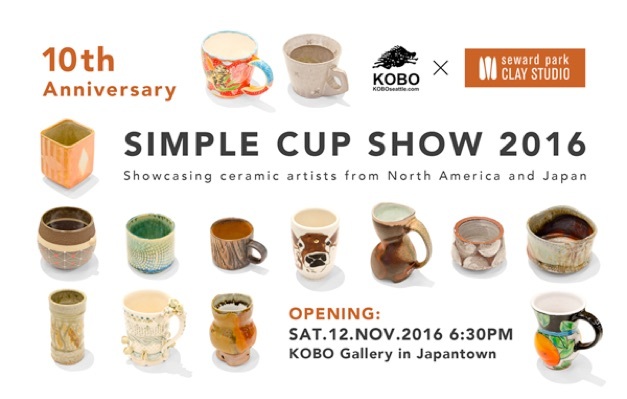 Farraday Newsome has cups in the Tenth Anniversary Simple Cup Invitational 2016 at Kobo Gallery in Seattle. This year ten curators chose five artists each. 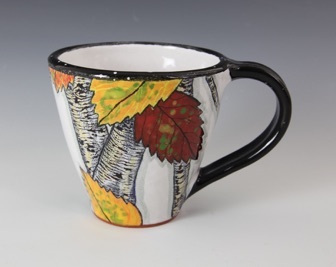 Farradaywas invited by ceramic artist Carol Gouthro http://www.carolgouthro.com, whose cups are also in the exhibition. 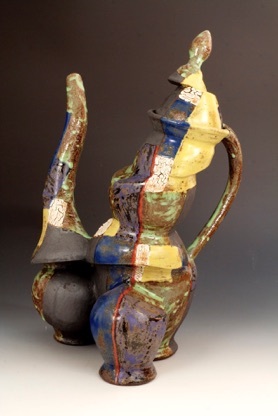 Seward Park Clay Studio has been an important element in the Northwest's visual arts community since 1969. The studio serves more than 5000 people each year through classes, workshops and lecture series. 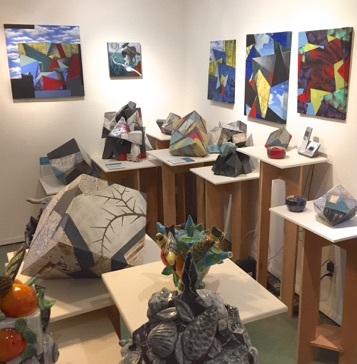 they also have annual sales and collaborative shows with local galleries. We have new birds-on-a-wire! 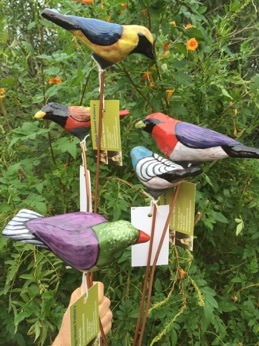 These popular items are glazed terra cotta birds epoxied to solid copper wire & meant for putting in the yard or a planter or whatever you dream up! $30 each, as always. Where: 6931 E. Indigo St., Mesa AZ 85207 For driving directions, click here! Our Holiday Studio Sale is always set up in our studio workspace and our showroom. We hope you can come by to enjoy the art, our native landscaping and kitchen garden, hot coffee and a snack. 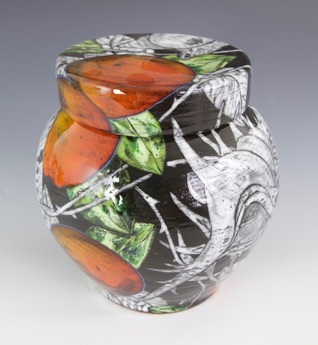 We will have beautiful work in a wide price range, with items from under $50 on up to collector range. We are delighted that you make time to visit. It gives us a chance to catch up with how you’ve been this past year. Garden tours for the asking! 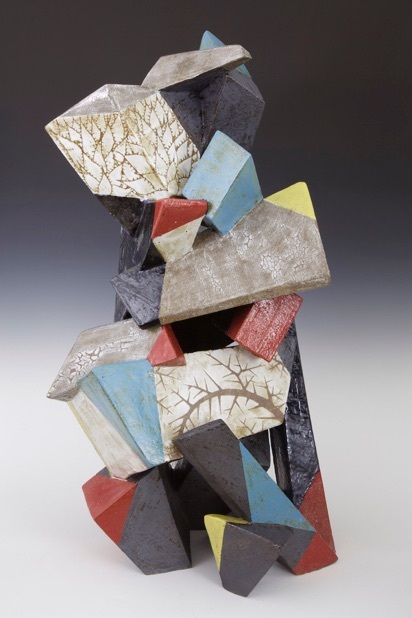 There is always a mixture of work by Farraday Newsome and by Jeff Reich in our year-around showroom. 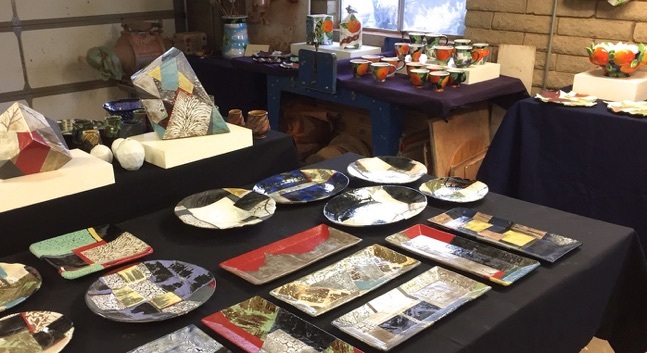 There will be a large selection of various-sized plates, bowls, cups, tiles, small and large sculptures, as well as oil and acrylic paintings by both of us. 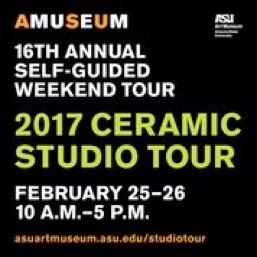 This will be Indigo Street Pottery’s fifteenth year as a host site for the Arizona State University Art Museum’s annual free, self-guided Ceramic Studio Tour. 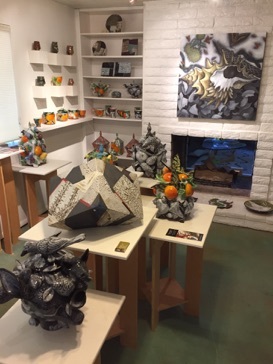 Studio ceramists across the Valley will open their studios to hundreds of visitors for the 2-day tour. Indigo Street Pottery, Studio #14 on the map, will feature artwork and demonstrations by studio hosts Farraday Newsome and Jeff Reich, former Director of Ceramics at the Mesa Arts Center, along with two guest artists: Jesse Armstrong, Director of Ceramics at the Mesa Arts Center http://www.jessearmstrongart.com Rob Kolhouse, Artist-in-Residence at the Mesa Arts Center http://www.kolhouse.com. Where: 17 sites throughout the Phoenix metropolitan area, including Phoenix, Tempe, Mesa, Gilbert, and Scottsdale. Merritt’s article can be read in its entirety by clicking on the link at the end of the excerpt. Jeff Reich and Farraday Newsome have sculpted a life at 50+ that many would envy. 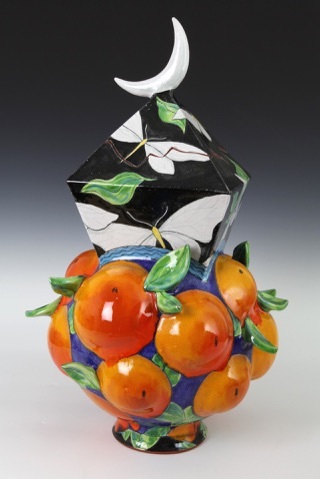 They are renowned contemporary ceramic artists and lecturers whose work is widely exhibited in galleries, museums and public art collections throughout the United States. They live and work side-by-side in their sprawling Southwest art studio, surrounded by the desert flora that has inspired their exquisite artistry, organic gardens, and nature trails humming with wildlife. 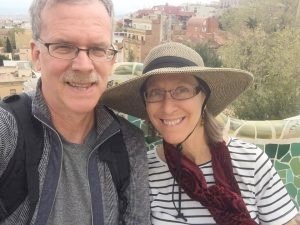 Despite their professional successes, this husband-and-wife team emits a peaceful vibe that comes from a lifetime of creative work, as well as a contagious energy fueled by their passion for healthy aging. We were recently interviewed by Arizona writer Liz Merritt for an article on her website http://boombaby.me . Liz created this website to educate and inspire positive attitudes and healthy lifestyles in the context of aging. She specifically targets the Boomer generation, but her thoughts and insights are useful to all ages. Our annual holiday studio sale is coming up soon! 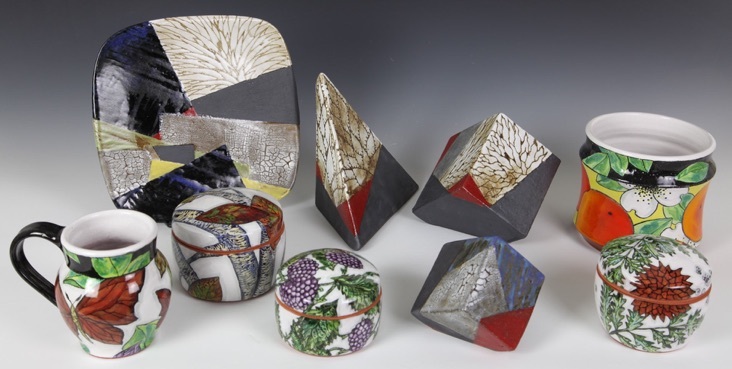 Here are a few small new works by Jeff Reich and Farraday Newsome that will be available. The sale will, as always, be the first two weekends of December. Dates, times and location below! During the sale, we also transform our studio into more display space. 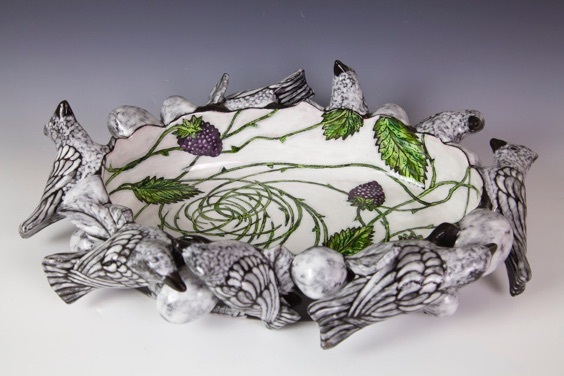 Jeff Reich recently fired a new series of rectangular trays, some of which include a cloud motif along with his botanical drawings and textural color fields. These tray are glazed stoneware, 11x 7 x 1”, 2016. This photo from a past year shows how we also transform our studio into a show area!